ByteDance, the Chinese company behind popular short video app TikTok, has decided it is time to take on Tencent in China’s messaging app game. The world’s most valuable startup has launched a video messaging app in a space dominated by WeChat. The app, named ‘Duoshan’, works in a similar way to Snapchat, enabling users to send videos which disappear after 72 hours as well as GIFs and images to others. The short-living videos and lack of like or comment functions within the app are intended to “reduce social pressure, allow you to free your true personality and not worry that you’re ‘digging a grave’ for your future”, according to ByteDance. Alongside TikTok, ByteDance also owns China’s leading news aggregator Toutiao. And has backing from the likes of SoftBank, General Atlantic, and KKR. 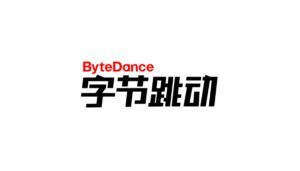 With the launch of its messaging app, ByteDance is applying pressure on WeChat, which is hugely dominant in China and boasts more than 1bn overall users. For Tencent, WeChat has been used as the core of much of its other businesses.